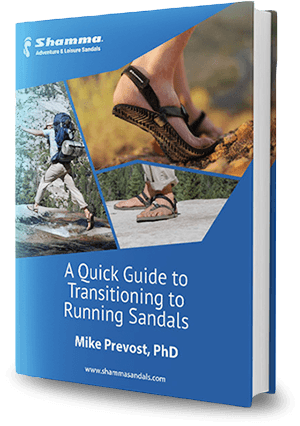 Star trainer Mike Prevost has written an in-depth guide on Endurance Training for runners and enthusiasts, and we want to give it to you. Get some great tips and tons of inside knowledge from a guy with more than 30 years of experience training and teaching athletes, US military and as Director of the Human Performance Laboratory. This guide covers tools and sample plans that will help you build your endurance. Mike Prevost earned a PhD in exercise physiology from Louisiana State University in 1995, specialized in muscle physiology and metabolism. He has trained athletes for many different sports including triathlon, ultra-running, surfing, power-lifting, bodybuilding, mixed martial arts, football, basketball and more. He received a commission in the U. S. Navy as an Aerospace Physiologist in the Navy Medical Service Corps. While serving in the Navy he developed human performance training material for the U. S. Special Operations Command, developed new fitness standards for Navy rescue swimmers, and served as a consultant to the USMC in evaluating the safety of the USMC Combat Fitness Test. During this time he trained thousands of aviators and aircrew on survival techniques, physiology, and human performance. He served as the Director of the Human Performance Laboratory at the U. S. Naval Academy, where he performed physiological testing of athletes to improve performance, developed the Principles of Strength and Conditioning Course for all Midshipmen, and served as the director of remedial fitness training programs. He has also taught at Loyola Marymount University in Los Angeles, training students in Exercise Physiology, Strength and Conditioning, and Anatomy and Physiology Labs.